Made with the same smart fabric and lightweight wadding as the men's Liddesdale, this boys' jacket is a classic jacket that's perfect for everyday winter wear. 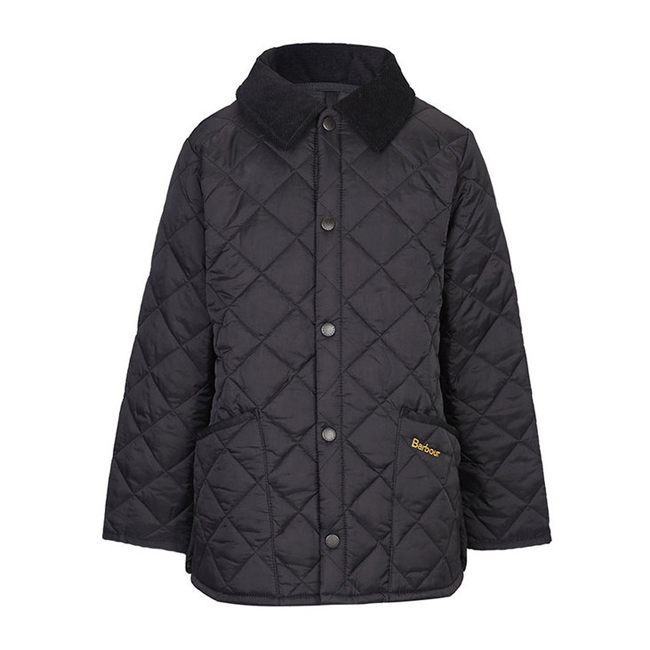 An easy-to-fasten snap-close front, cord-trimmed patch pockets, contrasting cord collar and signature diamond quilt give the traditional Barbour quilt look. I purchased this for using in my office at work -- perfect! It is light and warm. Does the job very well.